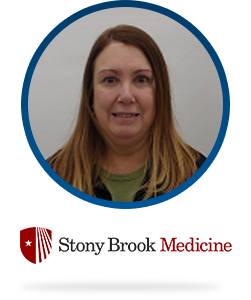 Elisa Betancourt has 30+ years of revenue cycle experience. She has been employed by Stony Brook Medicine University Physicians multispecialty practice plan for 27 years. She is currently the Director of the Revenue Cycle for the central billing department. Elisa is responsible for the billing and collections accounts receivable for 1000+ physicians employed through 17 University Faculty Practice Corporations. She manages 120 staff who are responsible for all aspects of the billing process from registration integrity through payment collection. Elisa has a Master’s in Business Administration and is a certified professional coder.